There are many ways to get involved and volunteer at the National Museum of American History, both on the Museum floor and behind the scenes. To learn more about each of our volunteer programs, their application processes, and their training processes, please see the short descriptions below and then visit their individual pages. Docents—Docents support the Museum’s collections, research, and exhibitions by staffing interactive carts, assisting visitors in exhibitions, giving highlights tours, and facilitating hands-on activities. Museum Ambassadors—Museum Ambassadors help people get the most out of their visits by welcoming groups, circulating throughout the Museum’s public zones to answer questions, and directing visitors to programs and exhibitions of interest. Spark!Lab Ambassadors—Spark!Lab Ambassadors work with Museum visitors in Spark!Lab, a hands-on invention space for children and families. Wonderplace Ambassadors—Wonderplace Ambassadors help Museum visitors in Wegmans Wonderplace, a learning space designed especially for children ages six and under (and their adult companions) that combines age-appropriate activities with Museum collections and touchable objects to provide a gateway to history and a place to exercise curiosity for the youngest historians. Volunteer Information Specialists—Managed centrally through the Smtihsonian’s Office of Visitor Services, Volunteer Information Specialists provide information services to visitors at Museum information desks or to persons telephoning the Institution for assistance. In addition to welcoming visitors, museum desk volunteers provide a broad range of information about the Smithsonian—its exhibitions, activities, and services—and general information on other popular attractions in Washington, D.C. Telephone information volunteers respond to inquiries pertaining to the full range of Smithsonian activities, forward calls to offices or staff members as appropriate, and fulfill a variety of requests for printed information. Behind-the-Scenes Volunteers—Behind-the-Scenes Volunteers provide assistance to Smithsonian staff by contributing their time and expertise to specific areas of study within the Institution. Volunteers in this program work with staff members on both short-term and long-term projects. Opportunities are generally available in archives, libraries, administrative offices, conservation laboratories, and curatorial divisions related to history. 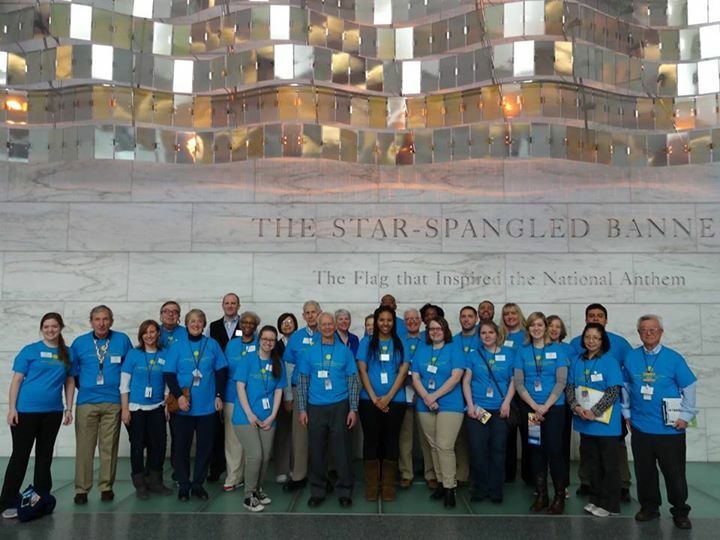 For information about other volunteer programs at the Smithsonian Institution, check out Opportunities for Volunteer Service.